It’s much easier to sell to existing customers than to meet all-new ones. Sure, lead generation is vital in growing your business. In the long run, though, you shouldn’t overlook the importance of maximizing lifetime value for each of your customers. The customer relationship is one of trust, and you can keep that rolling after the immediate need is met. 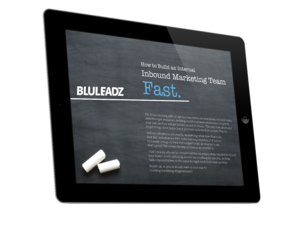 Inbound marketing provides a natural and seamless approach to customer retention. By looking at customer retention under an inbound lens, you can present post-sales messaging in an integrated way that protects customers from defecting to your market rivals. At its root, business is simple: Know about your customers and care about your customers. Every initiative starts with knowing: Learn as much as you can about the market segment you’ll be working with, centralize those assumptions, and validate them as you work on your campaign. Perform customer research and formalize buyer personas before you start marketing. Get concrete user feedback from focus groups and perform test marketing early on. Deploy detailed competitive research to avoid pitfalls and craft a compelling UPS. Customer retention in inbound marketing starts at the very beginning – that is, before the first sale is made. That means providing them with compelling and actionable online materials as part of a full-fledged content marketing strategy. Start with a batch of useful, informative blog posts based on core topics and keywords. Create several lead magnets aligned with buyer needs and pain points to generate leads. Use video, infographics, and other content to connect with users at a moment of need. For customer retention to work consistently, you need to know as much as you can about what customers are actually doing. That means updating your analytics and using your CRM to know when current customers are accessing your content again. Implement a Customer Relationship Management suite such as the free HubSpot CRM. Use lead scoring and contextual triggers to reach customers who are mulling new buys. Define account-based cross-sell and upsell opportunities to keep customers converting. When the sale is made, it’s time to celebrate – but not time to say goodbye. After the sale and the onboarding, you should be looking for ways to inject new value into the relationship. Often, this can be as simple as making sure your new customers are humming along with their purchase. Make sure you have a defined follow-up process based on product and buyer persona. Keep customers in touch with team members they trust even after the post-sale handoff. Ensure all team members know your products well enough to answer common questions. When people consent to your marketing, they assume it’ll always be relevant. Some offerings become less pertinent once someone makes a first buy – and those that remain valuable will need to be placed in the right context. All email lists should be broken down accordingly. Ensure customers are transferred to relevant, focused mailing lists as soon as they buy. Implement “power user” social groups and advanced webinars for long-term customers. Solicit feedback, perform check-ins, and monitor click-through to spot new opportunities. People generally don’t leave new feedback unless they’re really thrilled ... or really upset. Look for ways to facilitate feedback from within your products or customize feedback “triggers” based on usage patterns. This will help you address emerging needs before they turn into sore points. Use contextual triggers in web sessions and software products to get targeted feedback. Keep records of help desk and customer service contacts and follow up after the event. Incentivize detailed feedback from your existing customers, such as satisfaction surveys. High levels of customer retention produce a synergistic effect that makes everything else you do easier. You’ll end up with more sales revenue, higher LTV, and a more robust referral pipeline. You’ll also be more likely to hang onto – and expand – your place in the market. After all, it’ll be that much harder and more frustrating for rivals to attract your customers to their camp. That will even give you a little more leeway in dealing with bumps in the road, such as customer service hiccups or outages that no one could have foreseen. Trust is the magic ingredient. 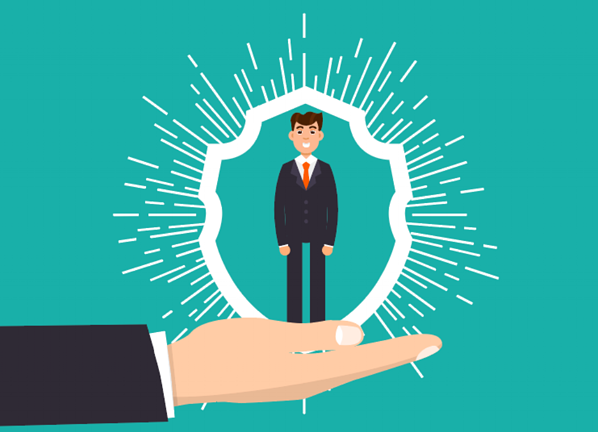 Make customer retention your aim and 2019 could be your best year yet.